Demand for organic food is soaring – so much so that Costco is running out of it. “We cannot get enough organics to stay in business day in and day out,” Costco CEO Craig Jelinek told investors at a shareholders’ meeting, according to the Huffington Post. And, organic farmers are fairing much better than their conventional counterparts, according to Robert Johansson, Chief Economist at the U.S. Department of Agriculture. Clearly, we need a sensible farm safety net to help family farmers in real need. But, rather than funneling more tax dollars to big farmers producing surplus commodities of conventional crops, Congress should find ways to help more farmers make the transition to organic. As my colleague Colin O’Neil reported last week, the number of certified organic farms surged by almost 12 percent last year. Now that prices for conventional corn, cotton and other commodity crops have fallen back to historic levels, more farmers than ever are making the transition to organic. But, those farmers still make up less than 1 percent of farmers and less than 1 percent of farmed acres. Boosting farm income is not the only reason farmers are making the switch. 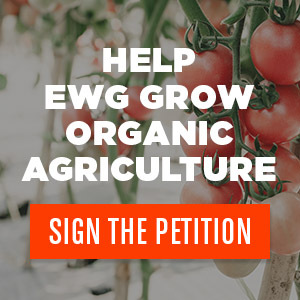 As EWG President Ken Cook noted in an article published Wednesday on the EWG website , switching to organic reduces Americans’ exposure to dangerous farm chemicals linked to serious health problems. Annual organic food sales are now almost $40 billion, or nearly 5 percent of all food sales, according to the Organic Trade Association. The growth of organic is no fantasy.